You like the maps of this website ? for Florence JARRIER here ! The real layout of the lines (metro, trams & funiculars). The position of the stations and their platforms. Closed or never opened stations. Tracks, tunnels of service and line connections. 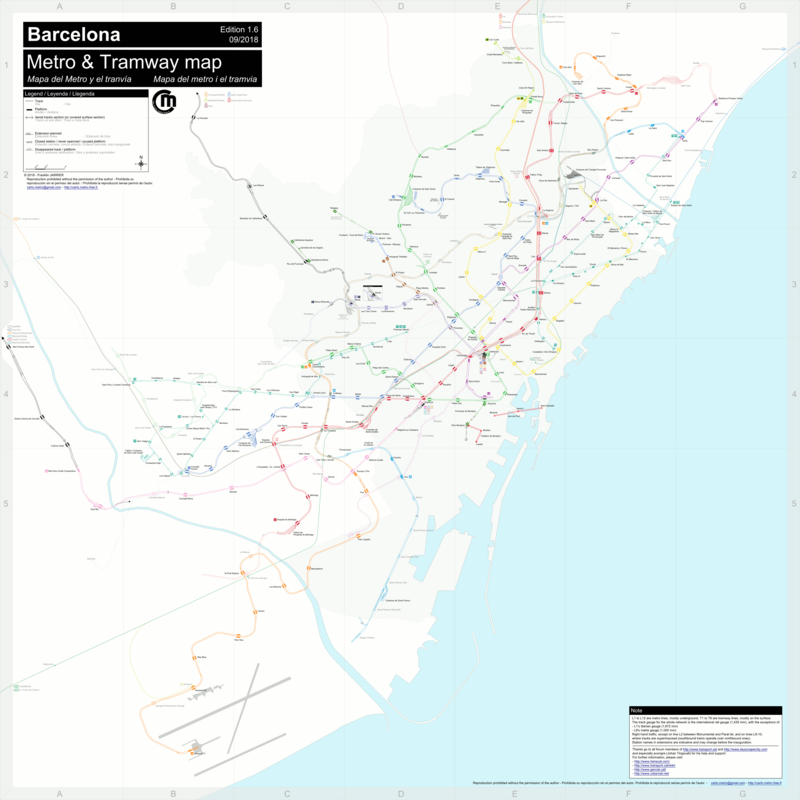 Extension projects of the network (according to the latest plan until 2018). Track numbers, opening dates of every section. Vías destruídas - Vies suprimides. Conexiones exteriores - Connexions exteriors.